“Bougainville” has been a punchline of Australian politics – a put down for Broadmeadows, or used by Kevin Rudd to describe Julia Gillard’s occupation of the Lodge. But the real place, a resource-rich yet poorly developed island north of Australia, is no laughing matter. From the middle of next month, Bougainville will be entitled to hold a vote on breaking from Papua New Guinea and becoming a nation on its own. There is a bloody history. A separatist conflict in the 1990s saw as many as 20,000 people killed. But a peace deal that put off a decision on independence for a decade is fast running out. Port Moresby is becoming acutely sensitive about it, demonstrated by an ugly spat with the Abbott government this month that saw Australians banned from the island. Here are four things to watch in the months ahead as Bougainville decides its future. Foreign Minister Julie Bishop has made two trips to Bougainville, and revealed this month in the federal budget plans for Australia to open a new diplomatic post at Buka, the capital of the province. Trouble is, it seemed no one thought to tell the government in Port Moresby. PNG’s leaders quickly branded Australia’s plans “outrageous” and “mischievous”, then retaliated by banning Australians, including diplomats, from visiting the island. Bougainville isn’t exactly a tourist destination, so the ban had little practical effect. It also appeared doubly unfair, because Bishop insisted Australia did consult with Port Moresby before going public. The two countries agreed at the weekend there was a communications “misunderstanding” and have agreed to move on. Australia has good reason to want to pay close attention. 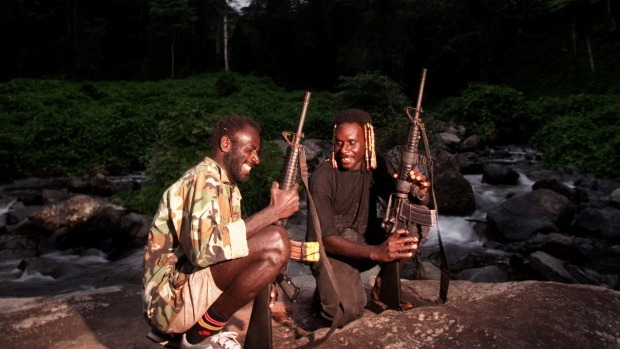 Bougainville won the right to govern its own affairs within PNG under the terms of a 2001 peace deal. But that wasn’t the end. The deal also included a clause for Bougainville’s people to vote on eventual independence no sooner than 10 years after the first autonomous government was elected. That happened on June 15, 2005 – which means from next month the decade-long wait will be over. That doesn’t necessarily mean a decision right away. But under the explicit terms of the peace deal, a five-year countdown will now begin where the people of Bougainville must be give the chance to vote for independence. But here is the sting. The national parliament in Port Moresby has the final say, regardless of the referendum outcome. The peace deal includes a clause for “ratification” and PNG’s Prime Minister Peter O’Neill insists Bougainville is an essential part of his country. At one time the massive Panguna copper mine on Bougainville made up almost 20 per cent of the nation’s income. Rio Tinto ran Panguna in the 1980s and mismanagement of the mine was the major source of strife on the island. The future of the mine is still hotly contested, with some seeing a potential boon for a newly independent nation, while plenty of locals are opposed. PNG has since gained other sources of income, but O’Neill has effectively declared Bougainville will never be independent on his watch. Australia climbs off the fence? Any veto of the referendum might lead Bougainville to make a unilateral declaration of independence, and no one quite knows where that might lead. The moral power of a “yes” vote would be impossible to ignore. Which brings Australia back into the picture. Having just ended a decade-long, $2.6 billion intervention in neighbouring Solomon Islands, Australia won’t welcome the prospect of another tiny and fragile nation on the doorstep. And by relying on PNG to resettle refugees, the Abbott government doesn’t want to get Port Moresby offside. But Australia is also backing a peace process that could well see Bougainville chose to become independent. Some time soon Australia will have to declare a hand. This issue looms as a big test for Julie Bishop, the hard part only just beginning. She once stirred Kevin Rudd during Labor’s leadership wars by asking in question time when he would “return to Bougainville”. She might find herself spending a fair bit of time there, too. The British Columbia Ministry of Environment was too concerned with the interests of Rio Tinto Alcan when it granted the company a permit to dramatically increase the release of sulphur dioxide (SO2) emissions in the Kitimat airshed, a tribunal heard in Victoria this week. “This case raises the specter, in a very real way, of regulatory capture,” Chris Tollefson, lawyer for the University of Victoria’s Environmental Law Centre, argued in his opening statement. Tollefson said the B.C. Ministry of Environment put senior official Frazer McKenzie in a conflicted position when it allowed Rio Tinto Alcan to pay his salary between 2007 and 2013 — during which time McKenzie was tasked with reviewing an upgrading application for the company’s Kitimat smelter. In 2013, the province, acting through Ian Sharpe, environmental manager for the Ministry of Environment, granted Rio Tinto Alcan permission to proceed with a $3.3 billion modernization project that would increase production and the amount of sulphur dioxide emissions released into the Kitimat airshed. Two Kitimat residents, Emily Toews and Lis Stannus, appealed the project’s approval in 2013 with the B.C. Environmental Appeal Board, arguing the 55 per cent increase in sulphur dioxide emissions would threaten human and environmental health. Toews and Stannus are both elementary school teachers in the region. “This case really does represent a situation where you have a regulator that has gotten too close to a powerful and well-resourced private interest that it is supposed to be independently regulating,” Tollefson told the tribunal, an independent body tasked with hearing appeals submitted to the Environmental Appeals Board. The province announced the project did not require an environmental assessment because overall emissions will be reduced as a result of the modernization project — even though SO2 emissions are set to increase. Tollefson argued that because Ministry of Environment officials were too wrapped up with Rio Tinto Alcan’s interests, they did not order the company to install scrubbers, designed to “scrub” SO2 pollution out of the smelter’s effluent. 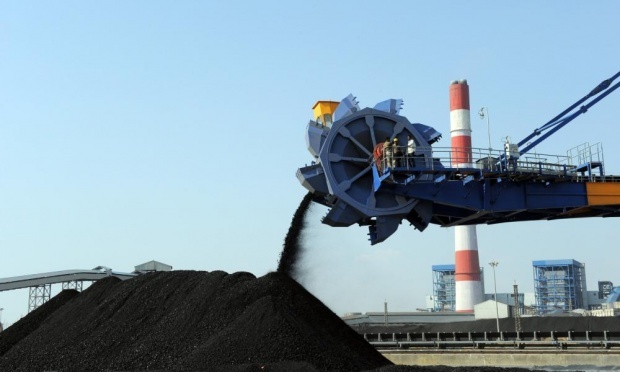 However, Rio Tinto Alcan has “covered its bets,” Tollefson said, by “setting aside the ability to install these scrubbers on a plug and play model” should the province decide to require them. “If this panel decides to order the installation of scrubbers, there is no technological or logistical reason why Rio Tinto Alcan can’t comply with that,” he said. Dan Bennett, a lawyer representing Rio Tinto Alcan, said the appellants have raised “no credible concerns” with the smelter’s modernization project. Doyle argued the changes will reduce the plant’s environmental footprint including reducing greenhouse gas emissions by 42 per cent. The hearing will continue in Victoria for two weeks (April 27-May 1 and May 11-May 15) before continuing in Kitimat. The Government should immediately implement a moratorium on seabed mining, the Green Party said today. The Green Party is responding to the news that Trans-Tasman Resources has applied to New Zealand Petroleum and Minerals for a 4,436km2 Prospecting Permit offshore along the West Coast of the South Island. “New Zealand needs to follow the lead of Australia’s Northern Territory and Namibia and put a moratorium on seabed mining,” Green Party oceans spokesperson Eugenie Sage said today. “Seabed mining is completely experimental and has the potential for major impacts on the seabed, water quality and marine mammals and other marine life. “A moratorium would avoid the company wasting its resources, and the public having to waste their time mobilising to oppose it to protect our marine environment. “The two previous seabed mining applications by Tran-Tasman’s have been rejected by the Environmental Protection Agency. “With less than 0.5 percent of New Zealand’s waters currently protected in marine reserves, and no oceans policy as such, seabed mining is a risk not worth taking,” Ms Sage said. “With the West Coast a stronghold for Hector’s dolphin, Trans-Tasman will face similar public opposition in the South Island as they did for their applications off the North Island’s West Coast. “It is vitally important we protect the places we love from extractive activities that cause real damage. “Our economic future relies on protecting the environment which is the basis for our prosperity. New Zealand’s economic development should be in clean energy, green tech and smart industries like IT, rather than harmful extractive technologies,” Ms Sage said. ENGA Governor Peter Ipatas is concerned about a Chinese company buying into the Porgera gold mine. He told Parliament yesterday that the Chinese company had bought 49.5 per cent of the Porgera mine, which was a very important asset for the country. “The landowners have taken issue with the State and Barrick (operator) over the last few years over environment damage as well as other issues,” Ipatas said. “We are reliably informed that this company in China does not have an impressive record. 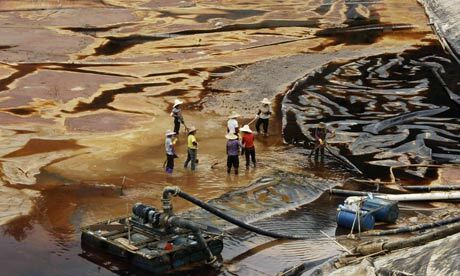 “It’s reported that 22 people were killed and more than 500 houses destroyed as a result of the collapse of a tailings dam in China. 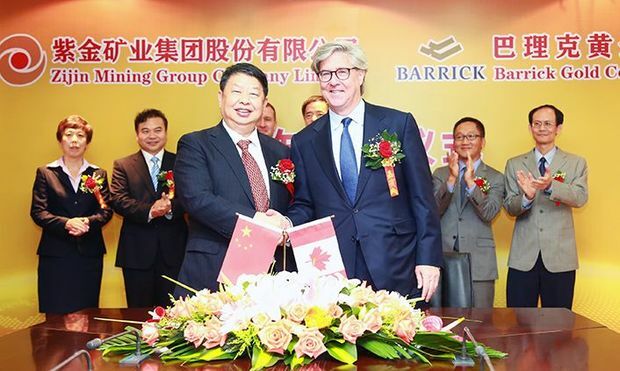 Mining Minister Byron Chan said he met with Barrick representatives yesterday who informed him of the takeover of 50 per cent of their shares by the Chinese company. He said the credibility of the company was assessed by Barrick and was a transaction not related to Government. “Barrick Gold has sold off 50 per cent of its shares in the Porgera joint venture,” Chan said. The relationship between Zijin Mining and the Shanghang county government is set out in the company prospectus. In the last restructuring, Zijin Mining changed froma state-owned enterprise to a modern shareholder-owned enterprise. However, the largest shareholder is still the Shanghang county government. Many government officials have positions in Zijin Mining and these posts have been disclosed to the media. The new tailings storage facility for the mine in Yueyongpian has been designed to sit on a high slope, and so the water level is higher than most of the village’s buildings. Yueyongpian is made up of three administrative units, including Yueyong village.Their water source is badly polluted. Many villagers told me that the most serious groundwater pollution began the year before last, after the tailings-storage facility wasexpanded. The villagers of Yueyongpian cannot drink the water from old wells, which were in use for several decades; neither can they drink the water from wells dug by individual households. During my visit, the villagers looked out on this stagnant water in consternation.They still remember their feelings of reluctance about the project. They have filmed the farmland and made dvds as something to remember their home by. But they also know that, even if the water receded, the fields could not be cultivated. Guan Yangwen and Guan Shengwen were brothers. They died in 2002 and 2006 respectively. Last year, their sister was diagnosed with leukemia. Guan Zhongwen and Lin Jindi were a married couple. Guan died of stomach and liver cancer and Lin breast cancer. Their only child was orphaned. Zhou Renxi and Qiu Yongzhao, also a couple, were both killed by cancer. Lin Meiying’s father, Lin Zhanqin, his sister’s parents-in-law, Zhong Xiuzi and Wen Dengchun, and his father’s older brother – all of them died of cancer. Gold Mountain is proceeding with the acquisition of a 20% interest in gold and platinum company Viva No. 20 Limited following the completion of due diligence. Viva holds three exploration licences and one exploration licence application in Papua New Guinea. These are located in the Enga Province about 75 kilometres northwest of the regional centre of Mt. Hagen and 25 kilometres from the closest commercial airfield with a daily flight from Port Moresby. The company has granted Viva and its shareholders an extension of time up until 31st July 2015 to effect the mechanics of the share transfer to the company. However, it expects the acquisition to be completed prior to that date.